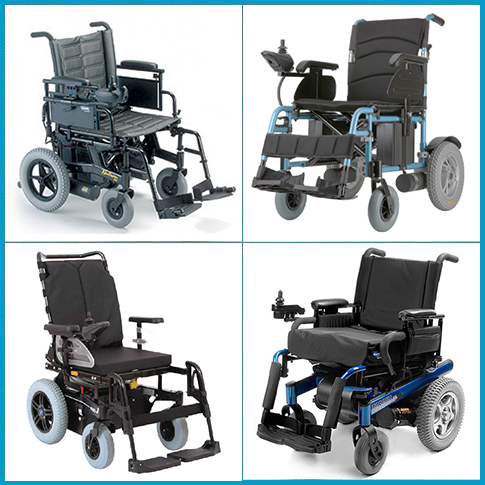 With the advancement of rehabilitation technology and the improvement of community and transport facilities, there is increasing demand for electric wheelchair support services. To meet the growing service needs, the Electric Wheelchair Repair Clinic and Resources Centre is launched since 2003 to provide one-stop electric wheelchair repair services for the users. Electric wheelchairs is crucial for persons with limited mobility as the device can enhance their mobility and widen their social circle, hence can enable them to live independently, integrate into society and improve their quality of life. Since the commencement of operation of the service, the size of the electric wheelchair users population has grown steadily. Throughout the past years, the service has served over ten thousand users. With the sponsorship from the Fu Tak Iam Foundation Limited, a new operational center is set up in July 2013 to meet the growing service needs. The service aims to provide one-stop service for electric wheelchair users which includes assessment, training, consultation, repair & maintenance, rental and other support services. The ultimate goal is to assist electric wheelchair users to live independently, integrate into community and improve their quality of life. Provide quality and comprehensive one-stop electric wheelchair maintenance and repair services for motor, controller, frame, batteries, tires and other accessories. * By appointment or user can send the electric wheelchair to our Workshop. During the repair period, another electric wheelchair can be loaned to the user, depending on the availability. On site checking conducted by Engineer will be available by appointment to tackle the worn out problems of the electric wheelchair and other accessories so as to ensure safe operation and performance efficiency. Depending on the needs of individual users, various devices can be installed to facilitate the users to control the electric wheelchair smoothly and to enhance the functioning and mobility scope of the wheelchair. Provide on-site driving skills training for those in need such as new electric wheelchair users. To be environmentally friendly and to reduce the maintenance costs, agencies and individual are welcome to donate old electric wheelchairs for collection of used parts for future maintenance. Referral can be made by social service agencies, hospitals and clinics. Self referral is also accepted. * The aforementioned offer is only applicable to Hong Kong residents. For CSSA recipients, the service can apply for allowance from the social security field units on behalf of the applicant. * The above photos are for reference only. For further information, please feel free to contact us. Outside office Hour: You can leave a message via e-mail, we will answer your enquiries as soon as possible. Incorporated as a company limited by guarantee under the Companies Ordinance & a Tax-exempt Charity under Section 88 of the Inland Revenue Ordinance.